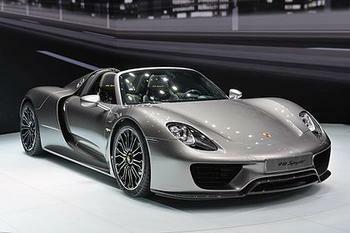 Porsche Cars North America is recalling 305 model year 2015 Porsche 918 Spyders. The connecting shafts of the longitudinal and transverse control arms may fail due to stress corrosion cracking, affecting vehicle handling. If the control arm connecting shafts crack, affecting vehicle handling, the risk of a crash can increase. Owners may contact Porsche customer service at 1-800-767-7243. Porsche's number for this recall is AJ04.